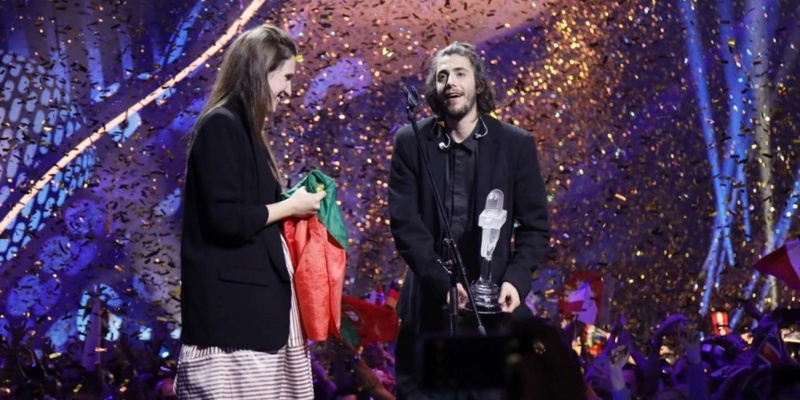 Eurovision Song Contest 2017 has come to an end with Portugal as the winner of the 62nd Eurovision Song Contest with the song "Amar Pelos Dois" performed by Salvador Sobral. Salvador won with record breaking 758 points - the most points in Eurovision history – and this is the first winning song since 2007 sung solely in national language. Check out the detailed results, voting and points from Eurovision Song Contest 2017. Salvador Sobral (27) is a Portuguese singer and composer. He won Festival da Canção 2017 in March 2017, which selected him as the Portuguese representative at Eurovision Song Contest 2017 in Kyiv. He originally studied Psychology in Lisboa, but his passion for music was stronger. The voting procedure was the same as last year. Each country had two sets of 1,2,3,4,5,6,7,8,10 and 12 points to give. One set for each country's jury, and one set for each country's televoting. The 62nd Eurovision Song Contest took place on 9, 11 and 13 May 2017. The contest was held in Kyiv, Ukraine, and produced by the Ukrainian broadcaster UA:PBC. Portugal has participated 49 times since 1964. It was a very bad start, as they managed to get Zero Points in the debuting year. Until 2017 they have never won the contest, and never made the top-5. In fact Portugal did hold the record for most appearances in the contest without a win!